Quentin Tarantino's signature remains intact for his newest film Inglourious Basterds. But his "larger than life" take on WWII, is the most non "Tarantino" film Quentin's ever made. Nearly all of the dialogue in Basterds actually moves the plot forward, or serves to deepen the characters. Don't get me wrong, I love me some Tarantino dialogue. I'll eat it up with a spoon. But in some of his films, you often find yourself counting down the minutes until something ACTUALLY happens. Or you end up looking way too far into something said, that has nothing to do with the plot of the film. That's not the case with Basterds. The tension built is masterfully done throughout the film. The only aspect that is a total wink at the audience, is when the characters switch from speaking French or German, to speaking English. It's blatantly clear the switch is made for the audiences sake, but it's done in quite a humorous and obvious way. They even toy with the subtitles(which there is an abundance of), by subtitling some of the universally known and not so known foreign words, instead of translating them into English. Inglourious Basterds is broken up into chapters, that each have their own different movie-genre feel, pace and setting. The first couple of chapters set up each characters back story, then the rest weaves them together brilliantly. 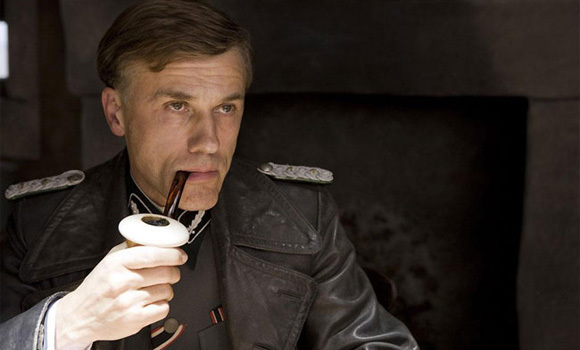 The film takes place in German occupied France, where Shoshana Dreyfus(Melanie Laurent), witnesses the execution of her family at the hand of Nazi Colonel, Hans Landa(Christoph Waltz). Meanwhile, Lt. Aldo Raine(Brad Pitt) assembles a group of Jewish American Soldiers, to perform brutally shocking acts of retribution against the Nazi Army. Every moment of this film, you are completely enthralled with the events taking place on screen. 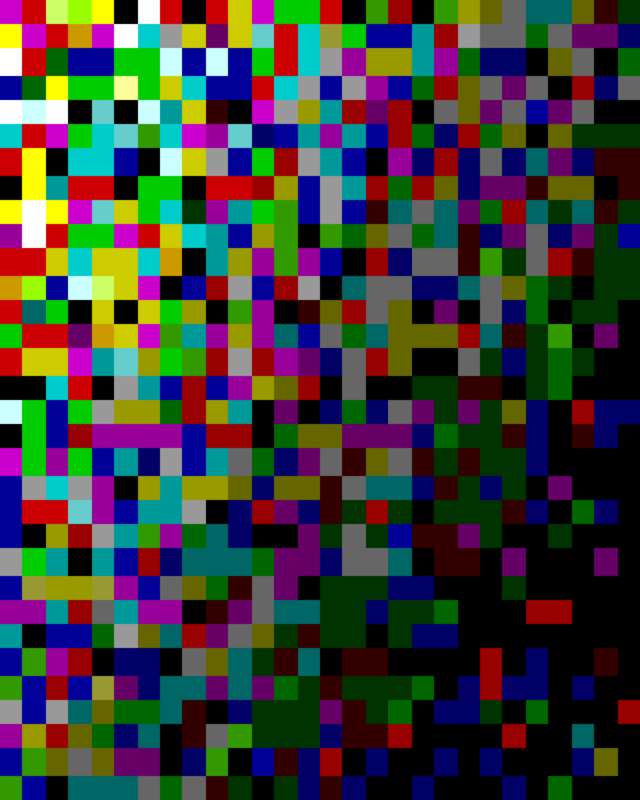 You're sucked into this historically based alternate universe. At times you ache to get in on the action, and the rest of the time you feel held captive by it. While Inglourious Basterds shares nearly the same name as Enzo Castellari's correctly spelled Inglorious Bastards, this is not a remake. Aside from the name and setting, this is a Tarantino original all the way. It's nice to see him play in a world he never has before. I was expecting to see more screen time for our rag tag team of Inglourious Basterds. In advertisements, the film looks like it would be some crazy shoot 'em up, but 95% of the film is not that at all. 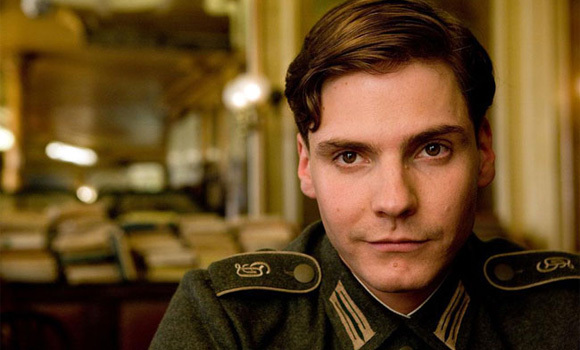 Instead, much of the focus falls on the story line between Laurent and Daniel Bruhl's characters. German actor Bruhl was a real surprise for me. Playing Nazi war hero turned actor, Fredrick Zoller, he has several layers and is by far the only Nazi you have any sort of sympathy for. He is reluctant as both a hero and an actor. Most of his energy is spent trying to impress Laurent's Dreyfus, whom he is completely smitten by. Brad Pitt sports a lynching scar across his neck, a mustache and towers a good head or two over the rest of his men. As Lt Raine he looks every part the leader he is supposed to be. This is Pitt's funniest role to date. Aside from the fact that his voice has a slight hint of an older Benjamin Button, his performance is absolutely flawless. He's not your typical command yelling crazy man. In fact, his actions are so "a matter of fact," that you can almost picture him delivering the same lines wielding a glass of scotch, rather than a huge knife. The leading ladies are strong and entrancingly beautiful. French actress Melanie Laurent as Dreyfus, who has her own plans of revenge in mind, is superb. You don't doubt for a second, her capability of of her actions. Diane Kruger(Troy/National Treasure) as Bridget Van Hammersmark, German actress turned double agent, perfectly counterbalances the Basterds over the top behavior. Eli Roth plays Sgt. Donny Donowitz, a.k.a "The Bear Jew," earning his nickname for savagely beating Nazis to death with a baseball bat. I'm not a fan of his as a director, and I wasn't looking forward to seeing him act in this. But I kept an open mind, and Roth does a passable job. He earns laughs when the menacing "Bear" turns out to be a Boston boy, with a thick Baaawston accent. My only complaint is that you could easily see a veteran actor in this role. You can't help think that Mark Wahlberg could've played it tougher, and Leonardo Dicaprio(who was originally tapped for the character) could have played it more vicious. I was surprised to see so many comedic actors in the film. Mike Meyers has a throwaway scene in which he plays a British General. B.J Novak(The Office), Samm Levine(Freaks and Geeks), and Paul Rust(I Love You Beth Cooper) all play members of the Basterds. Not your typical tough guys, but they're basically background characters through the film, with Novak having less than a dozen lines. Pitt may be the star POWER in the film, but it's Christoph Waltz as Col. Landa, a.k.a "The Jew Hunter" who is the star of the film. Landa is a cunning detective in charge of eradicating the Jews hiding in France. With his findings, he maniacally toys with his victims. His performance is Oscar worthy through most of the film, but takes a surprising but hilarious campy turn. 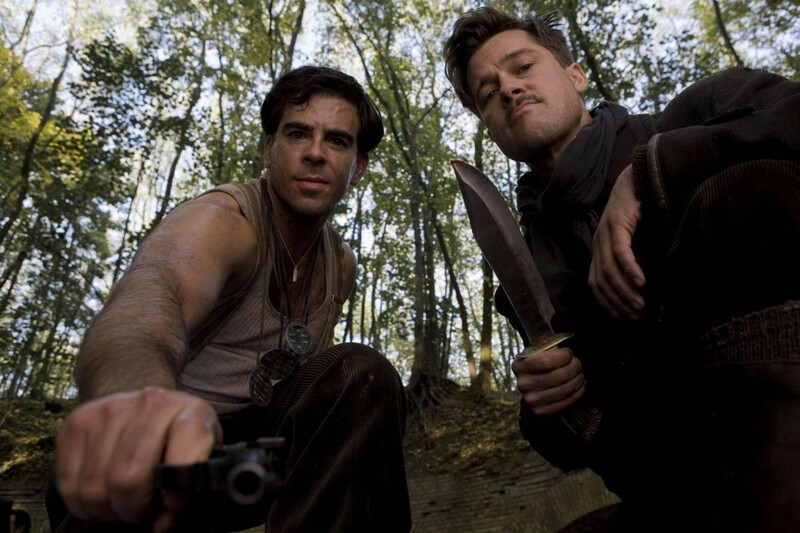 There is no grandiose or far fetched Hollywood heroics in Inglourious Basterds. In typical Tarantino fashion, when it's time for our heroes to die... they die. No apologies made. When it's time for our Nazi villains to be brutally "obliged", it's rightfully graphic, gruesome and cheer worthy. As graphic as some of it is(full shots of scalping), I was pleased that the violence didn't absolutely take over the film. The good and the bad, the real and the fictitious, you fall in love these characters, and that's where the focus lies. You don't leave the theater talking about the violence, you leave in awe of the performances. If you're a Tarantino fan, you'll absolutely love this film. But if you're not, this may be the film that turns you into one. Even with the film's two and a half-hour run time, I could easily have spent another two hours exploring this universe. But there in lies the strength of this film. It completes and satisfies itself, but leaves you wanting more.